I remember when we got our first computer. I didn’t totally understand what a computer was, but I knew that it took 15 minutes to boot up, and that was just enough time to eat breakfast. The computer games never really enthralled me, but when I discovered Print Shop, it was a different story! Do you remember Print Shop? You could print your own cards on perforated tractor-feed paper and then fold them up. A whole new world opened up for me. My inspiration for today’s post is from one of my absolute favorite desserts at Publix. They sell “french fans” which consist of their fantastic frosting sandwiched between two palmiers and then dipped halfway in chocolate. I LOVE them! 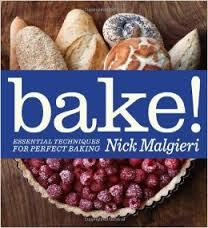 It is my intention to have a recurring series where I review and recommend cookbooks since it is a hobby of mine. I have already recommended Authentic Mexican, and if you would like to read that review, you can check it out here.